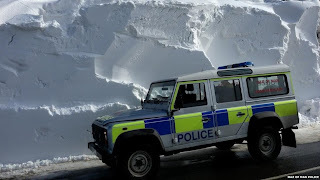 Home › Uncategorized › Donations by the public to the Snow Fund have topped £148,000, latest figures reveal. Donations by the public to the Snow Fund have topped £148,000, latest figures reveal. And of that sum, £139,500 has already been distributed to farmers worst affected by this year’s heavy snowfall. Appeals for the public to donate cash to the Isle of Man Agricultural Benevolent Trust were made after the island was hit at the end of March by the heaviest snowfall event in 50 years. The death toll among livestock exceeded 15,000 including 6,800 sheep and 8,300 lambs. Now it has been revealed that the total amount raised so far by public donation to the Snow Fund has now reached £148,864. This has come as a result of contributions from individuals, companies, corporate bodies and organisations including a wide range of fund-raising activities. Snowfall 2013 from Lily Publications has an amazing collection of photos from the epic snow storm and the aftermath as the island dug out its livestock. Click to purchase and some of the proceeds will go to the fund.